I was skeptical and felt like it was going to be a disaster, but…..it actually turned out Perfect! The texture was the same as the Ice Cream made in the Cuisinart. There were a couple of different that really stood out. One being the extra step of needing to add ice to the outside container, along with salt. Which makes it a bit more involved than the Cuisinart. 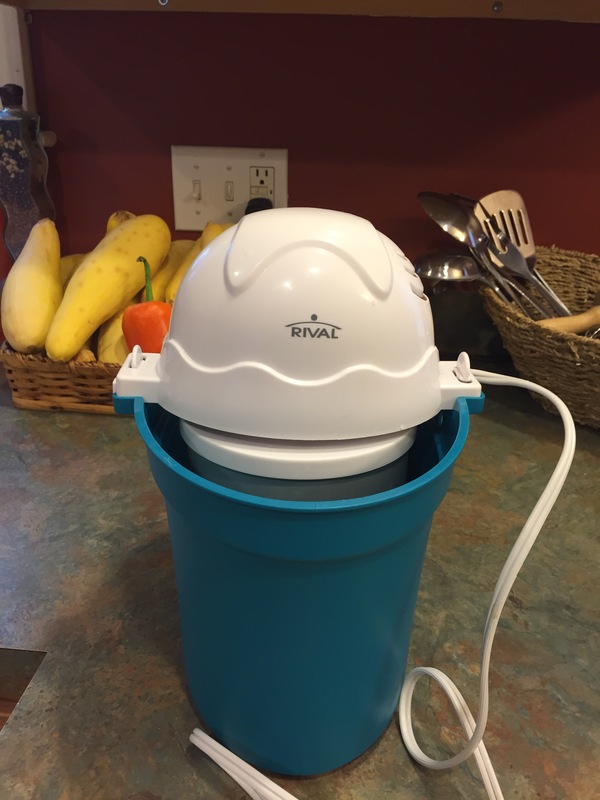 But, it still came with it’s own electric top, which churned the ice cream until it is ready. However, in the end, that small step saves me from having to spend $60 bucks and gives you the same result! I was very pleased and so was the family with how it turned out. The cookies were homemade Oatmeal Bing Cherry Pecan Cookies! 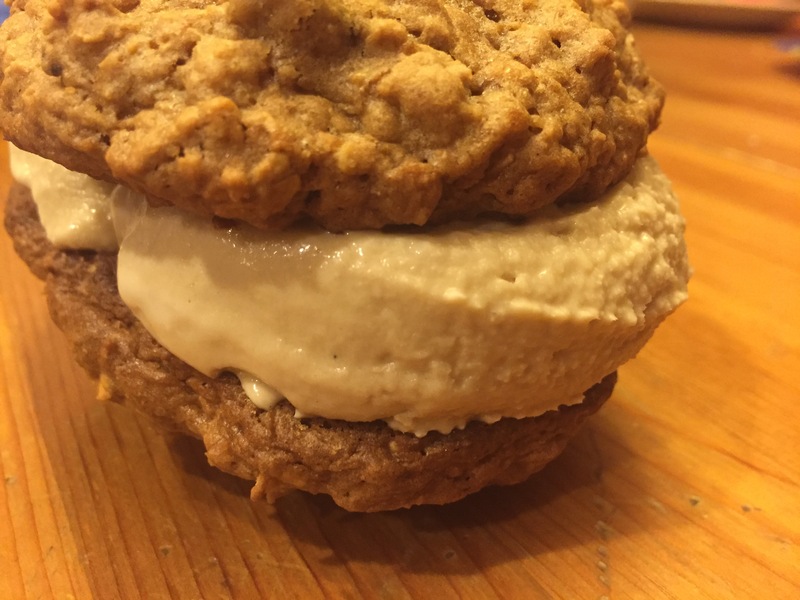 Then we placed a couple of scoops of Ice Cream onto the cookie and smashed together to create the perfect Vegan Ice Cream Cookie! The birthday girl was so happy and enjoyed every bit of it! Try it and let me know what you think, or how you tweak the recipe to make it your own. Perhaps try adding some bananas or strawberries. My next goal is Mint Chocolate Chip! 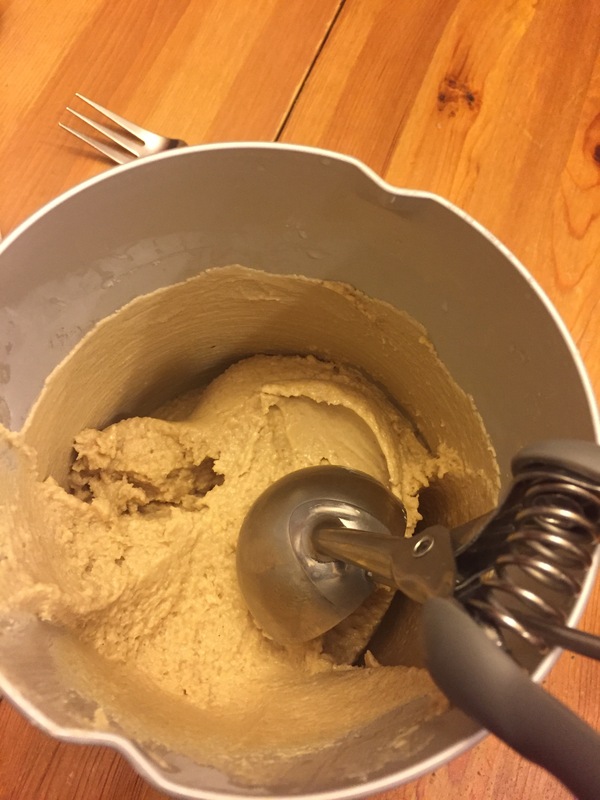 Until the next time we Kick The COW and don’t forget to check out the blog post on how to make this amazing treat called, “Kick the Cow – Vegan Ice Cream”! This is great! I’m thinking about getting the newNinja that makes ice cream! Yes, I saw that. Let me know how that turns out 😉.